Despite a lively holiday season, if you pay close attention, you will notice that most of your customers have one eye on their own futures. Your challenge will be to provide an ever-changing array of glitzy, fun holiday merchandise while simultaneously keeping your customers aware of what’s trending for the long-term. Here’s some help from mind/body/spirit book publishers! 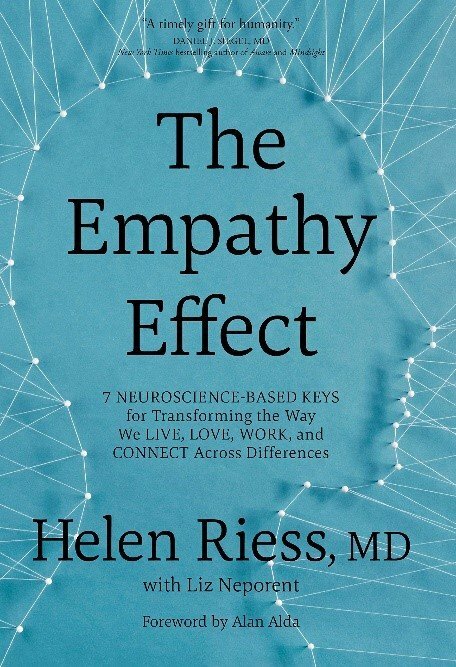 The Trump presidency has generated a lot of discussion about empathy, which happens to be Dr. Riess’ specialty. She has been involved in research that strongly suggests that empathy can be taught. She has created her own protocol for doing just that and wants her methods to reach the broadest audience possible. Hence this book. Learning how to put ourselves in another’s shoes, enhances our ability to communicate with that person. If we listen and understand, it helps others to listen and understand as well. Mutual listening breaks up the logjam of opposing views. It opens the door for problem solving and makes others more receptive to our point of view and our goals. Every person in your business who deals with customers needs to read this book. Raised to put her faith in higher education rather than a higher power, Taylor found her own way to traditional Christianity, with her search ending as an Episcopal priest. In 1998 she started teaching World Religion at Piedmont College in rural Georgia. 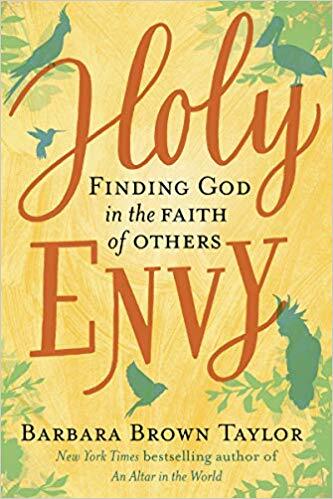 This book recounts her journey into other people’s religions so that she could introduce those religions to her students. That journey renewed her faith in the God of her own Christian church and taught her to recognize that Higher Power in all spiritual practice. At a time when many people seem to be entrenching themselves behind the walls of familiar traditions, this book is a literal godsend. Taylor’s self-effacing honesty, coupled with her vibrant narrative style, makes this one a page-turner that leaves us feeling hopeful about the future of the human race. In a world where having the most expensive iPhone and taking the most exotic vacations appear to be the prime measures of status, books on prosperity abound. Why am I calling your attention to this one? 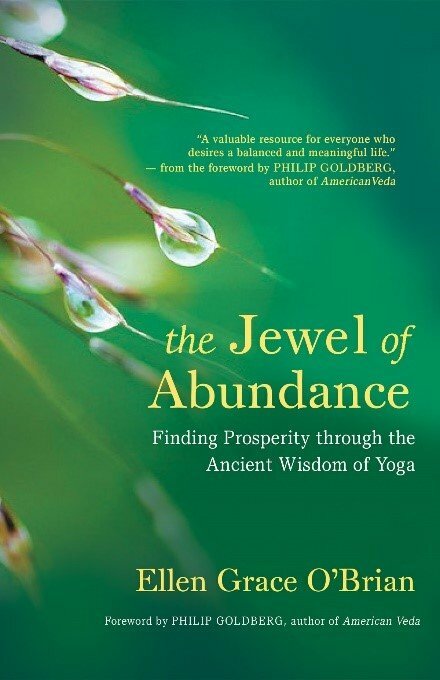 Because this author is asking us to rethink our ideas about prosperity/abundance and to measure it in the context of Vedic wisdom and the four purusharthas (objects of pursuit). O’Brian is an esteemed teacher of Kriya Yoga, ordained in the lineage of Paramahansa Yogananda. She doesn’t ask readers to shun material comforts, but does ask us to put spiritual abundance into the mix. Prosperity, she tells us, needs to be kept in balance with the other purushartas (action in community, divine union and pleasure). She explains the difference between material wealth and prospering. She asks us to remove the gap between true wealth and a spiritual life. She tells us that “learning how to prosper is a path of transformation.” Written in laymen’s terms, this is a how-to for feathering our nests without selling our souls. Do you respond to questions or merely answer them? More importantly, how do your sales people deal with customer questions? We’re all aware of sales people who answer questions with a canned sales pitch, ignoring the real needs of the customer. 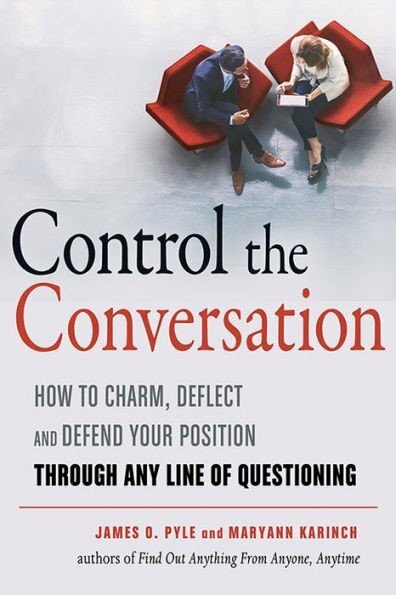 In order to get a customer to listen to your point of view, it’s necessary to learn how to control the conversation without coming across as adversarial or domineering. It requires a skillset that lets you determine the motivation behind a question and artfully use keywords, body language and answer enhancers in your response so that you and your customer move closer together. Part II of the book shows readers how to apply that skill set once they’ve acquired it. Whether its meetings, job interviews, negotiations, media interviews, or social interaction, these authors tell readers how to make the moment their own. Detailed, organized, insightful and cutting-edge, the book brings verbal interaction skills into the real world in ways readers can make their own. It’s a powerful tool no matter what your goals are. As the number of people embracing alternate healing modalities has increased, so has the popularity of books on essential oils, tinctures, and herbal remedies in general. I’ve read a lot of them and, while most of them are very good, this book has a particular clarity about it that makes it a stand out. Vasey includes quite a bit of scientific information in making his case for the effectiveness of herbal remedies. Somehow, he makes it easy to read and understand. 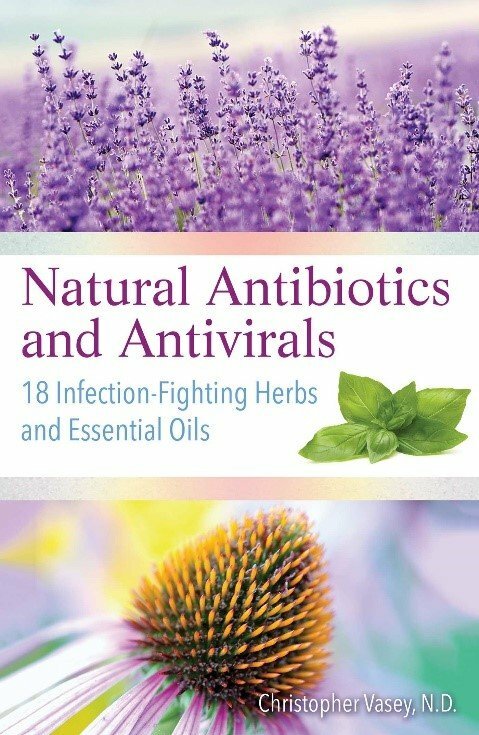 He explains why bacteria doesn’t build up resistance to natural antibiotics like it does to pharmaceutical antibiotics and why plant-based remedies, unlike pharmaceutical antibiotics, are effective against viruses. He zeros in on 18 powerful plants and describes their properties and applications in detail. The book also includes information on probiotics and an index of 50 common illnesses and their herbal remedies. The faery tradition of witchcraft originated with shaman and poet, Victor Anderson. It was (and still is) mainly an oral tradition, resulting in a widely diverse group of practitioners. Gradually, much of the “secret” information made its way into the mainstream. Faerywolf became a practitioner of the craft in 1992 and became an initiate soon afterward. 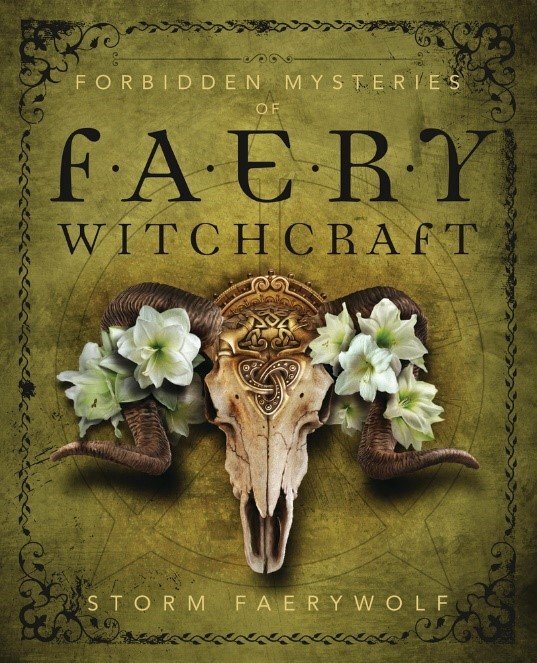 Faery Witchcraft is unique in that it embraces the world of Shadow, the dark side of our consciousness and the universe. The practice requires facing the demons that live within our personal abyss. Faerywolf explains it all in detail and gives readers all the basics for beginning to practice. The book is full of exercises, sigils, archetypes, symbols, rituals and, of course, poetry. Michiyo has been a notable knitting and crochet practitioner in Japan for the past decade. Recently Western knitters have discovered her simple, but trendsetting, needlework patterns and begun embracing her aesthetic as well. 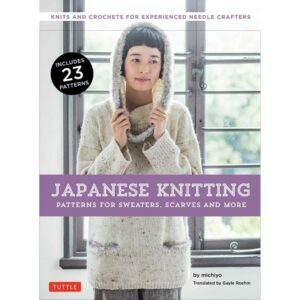 This book, brilliantly translated by Gayle Roehm, makes 23 of Michiyo’s patterns available to Westerners. Her combinations of texture, pattern and shape make the designs unique without being overly dramatic. I’m a lapsed knitter and I’ll admit that the photos in this book made me want to dig my knitting needles out of the back of the closet. My favorite pattern is the jumper/dress in lightweight wool that begins with a cable pattern at the waist and is then knitted up and down from there. Many of Michiyo’s patterns are knitted seamlessly in one piece. The patterns do require a certain skill level, but they are so intriguing that many of your customers might consider knitting lessons in order to learn to execute them. Quick GIFT PICKS for Holiday Restocking! As the world becomes increasingly digitized, all things handcrafted become more valuable. 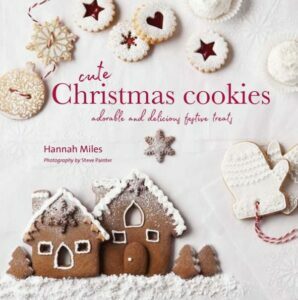 This treasure from Hannah Miles captures the smell of a kitchen with cookies in the oven and the holiday excitement of a family gathered around the kitchen table decorating their own holiday treats. Engagingly illustrated by Steve Painter, the book captures the spirit of an old-fashioned Christmas and updates it for a modern audience. Seasonal treats like Coconut Snowballs, Coffee Cookies with Vintage Edible Transfers and Frosted Pine Cones are paired with child-pleasing creations like Meringue Snowman Cookies, Candy Cane Cookies and Mini Gingerbread Houses to make this a classic holiday baking favorite. This awarding-winning, wife-and-husband team, has created a dynamic exploration of the power of non-verbal communication. Aimed at children, the import of the message for adults is clear, as are the overtones relating it to the autism epidemic. 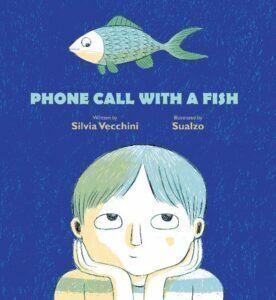 The book maintains a careful balance between the written word and pictorial representations, as one child, who speaks at home, refuses to speak at school. Only one of his classmates tries to figure out how to communicate with him. Her joy at finding a telephone connected to a fish tank in answer to her inquiry is realistically depicted. The book demonstrates problem solving at its highest level. Everyone benefits in this special, life-affirming tale. 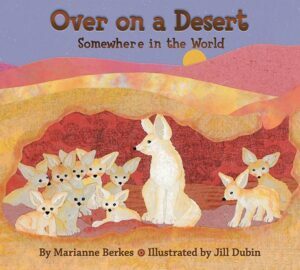 Formatted at the entry level as a counting book (one camel calf to ten desert fox kits), this delightful teaching tool quickly moves to additional levels. Each double-page spread is devoted to one desert area showing a geographical map for each desert and its country. Each spread poetically describes the behavior of a species native to that area, and like any good children’s book, there are hidden elements in each spread for young readers to discover. In keeping with Dawn’s educational initiative, lots of additional information is provided at the end of the book along with valuable insights from the author and illustrator. As with all Dawn books, the power of this book lies in the simple narrative which is paired with captivating, inviting environments filled with illustrated creatures awaiting the young explorers who come to visit them.